Elisabeth II is one of the funniest and cruellest plays that Thomas Bernhard has ever written. It tells the story of Herrenstein, a disillusioned calculating retired manufacturer, who lives alone with his butler and his housekeeper. He invites Victor, his nephew, to share the incredible view from his balcony on the occasion of the Queen of England’s visit to Vienna. But then he finds his apartment infested with high society that he learned to hate a long time ago. Thanks to the great performance of Denis Lavant, Herrenstein is breathing insolence and develops his existential anxiety and his methodical hate of Austrians. His intransigence and his furious pessimism is taking down the hypocrisy that seems to control every one of his relationships, the affective and monetary interdependence between individuals and humans’ conflicting sense of belonging to society. Here, despair and cynicism are considered as a way of life, even as a reason to live. This play, staged by Aurore Fattier, can be described in three words: scathing, provocative and brilliant. 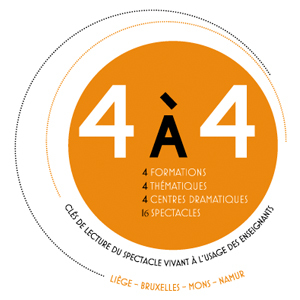 On 21 November, for his next good plan at the Théâtre de Liège, the CU Festival gives carte blanche to Luik Records, the new home of Liégeoise discs. The label offers the opportunity for folk -songwriter Nikolai Brussels Dumpty live concert. After Elizabeth II show, Luik Records will chain with a DJ set to end the night dancing. With Denis Lavant, Alexandre Trocki, Delphine Bibet, Véronique Dumont, Jean-Pierre Baudson, François Sikivie, Michel Jurowicz. Co-producers Solarium asbl, Théâtre de Liège, Théâtre Varia / Bruxelles, le manège.mons, Théâtre National / Bruxelles. odio risus. Donec efficitur. libero libero Aenean consequat.